You know what QR Code payments are. Due to easy transactions and negligible set-up cost, this mode of transaction is being adopted widely across the globe. Just like China, Thailand, and Singapore, Indonesia also uses QR Code payments massively. QR Code payments were introduced in Indonesia by Ipaymu wallet. Merchants could use QR code on Ipaymu app and display it on their products. Since then, this mode of payments has been expanding in the country at a fast rate. So Indonesia has decided to soon launch centralised QR Code payment platform. In Sep 2018, pilot project was launched for centralisation of QR Code payments. The new payment platform will integrate third-party mobile payment services such as Alipay and WeChat Pay. Platform named—Link Aja—will roll out in late February. It is currently in process of obtaining licence from Bank Indonesia (BI), the central bank regulator. 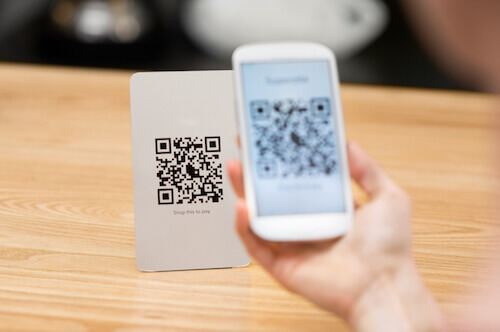 How will centralised QR Code payments be beneficial? Besides QR Code payments, Electronic Data Capture (EDC) is one popular digital payments method in Indonesia. After Indonesia will Centralise QR Code payment platform, merchants will not have to own EDC machines. All that they’ll need is—a QR Code. They can display this QR Code at the bill desk. Customers can then simply take out their phones to scan the QR Code and make payment. Besides payments, QR Codes are also used in retail and marketing in the country. That’s all you need to know about how Indonesia will launch centralised QR Code payment platform. This will help merchants with negligible set-up cost and customers with fast payments.